The Snorkel S2255RT is a diesel-powered rough terrain scissor lift. Powerfully packed in a compact scissor lift, it is ideal for outdoor work in confined spaces. 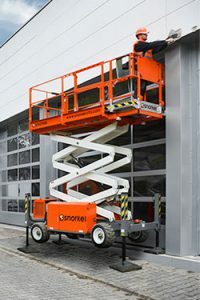 With slim dimensions, the machine is ideal for accessing narrow areas, with an overall width of 1.4m, it stows to a height of 2.35m. 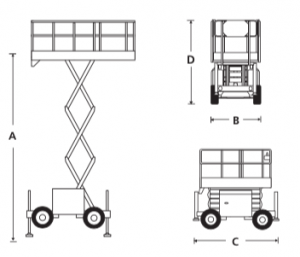 Contact us for the best Snorkel Scissor Lift with or without trailer in Port Macquarie and Tamworth. We offer fast delivery.